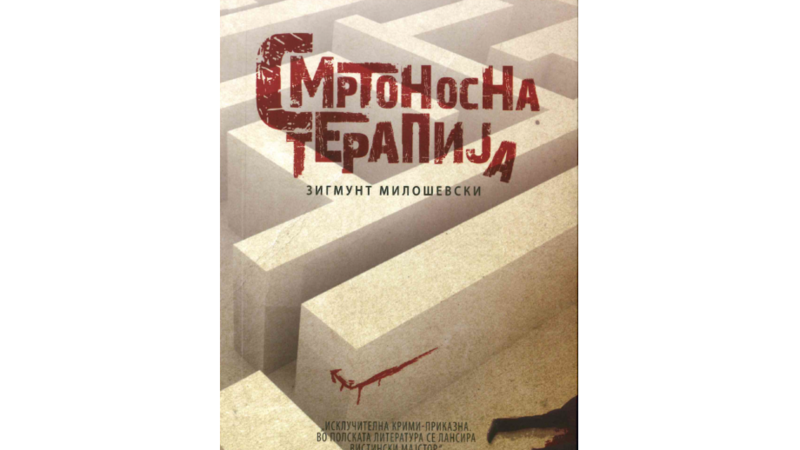 Smrtonosna terapia, which is the title of the Macedonian edition of Uwikłanie, has been recently published by the Antolog publishing house in Skopje. Uwikłanie is the first of a series with Prosecutor Theodor Szacki in the lead role. On a cool Sunday, June 5, 2005, Szacki launches a new investigation. In a monastery in a city centre, one of the participants of an unconventional group therapy, during which patients played the roles of their family members, was murdered. Accidental murder during a burglary? This is the official version, because it is hard for Szacki to believe in the hypothesis that the perpetrator of the crime is one of the participants of the therapy. And if so, then why? Should the motive be sought in themselves or in the people they played during the therapy? Each hearing provides information that makes the case even more complex. The prosecutor hopes that a thorough examination of the past of the deceased - a seemingly uninteresting and colourless person - will allow the cause of the murder to be detected and the perpetrator to be found. However, there are secrets that are not discovered with impunity - family secrets guarded by forces more powerful than family. In recent years, the Book Institute has also supported translations of Zygmunt Miłoszewski's books into other languages: Ziarno prawdy (“A Grain of Truth”) into Spanish, Hebrew, Russian, Czech, Ukrainian, and Belarusian, Entanglement into Spanish, French, Ukrainian, and Turkish, as well as Bezcenny (“Priceless”) into Czech, and Gniew (“Rage”) into Spanish.